"Cassidy does a fine job constructing sentences for learning readers while also modeling wonderful sentence structure and examples for learning writers. Full of vivid descriptions and emotion, this book will attract a wide range of readers. Multimedia b&w illustrations are engaging and quite detailed. Some readers may find the artwork as interesting as the story itself. This title comes with an online Teacher's Guide so the book can be used in literature circles or as classroom reads. 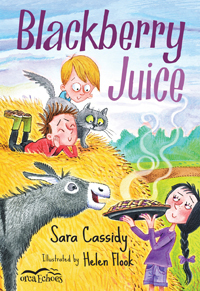 Overall, this book makes a fine choice for both classroom and school libraries due to its wide reader appeal and early reading level." "A wonderful little novel for beginning readers. 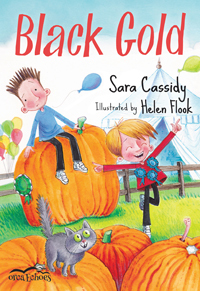 This story is interesting enough to keep hesitant readers engaged, with very detailed and beautiful illustrations...With the final message of acceptance and doing one's best to improve, Seeing Orange makes for an effective classroom read." 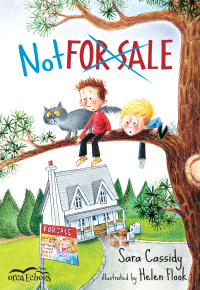 "Offers a story that will appeal to boys as well as girls in the primary grades. Themes of loneliness, friendship, and perseverance are ones to which many students will relate. The vocabulary is manageable but still interesting, and Cassidy does a thorough job of describing her characters and settings. The ending is satisfying and uplifting, leaving readers with a good feeling about appreciating our abilities and facing challenges."